The 1st of October marks the beginning of Stoptober: a 28-day challenge conceived by Public Health England to help the nation quit smoking. The campaign has gained serious traction since it first launched in 2012 and is now part of the wider One You NHS Programme, which encourages and supports smokers across England to kick the habit for good. Research suggests that when a smoker kicks the habit for 28-days they are five times more likely to quit for good. 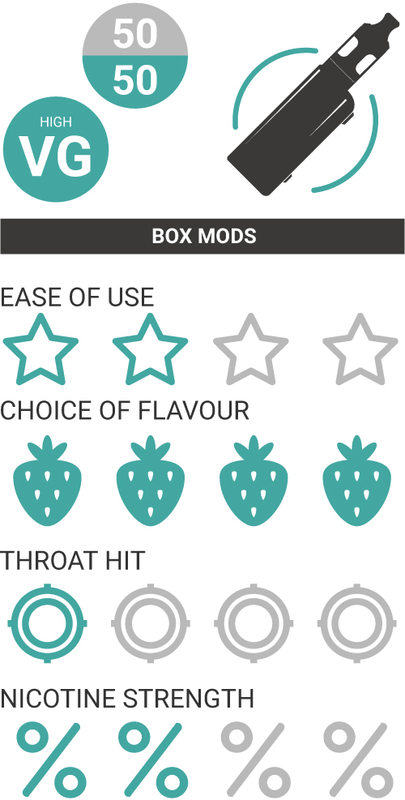 Will E-Cigarettes Help Me To Quit Smoking? 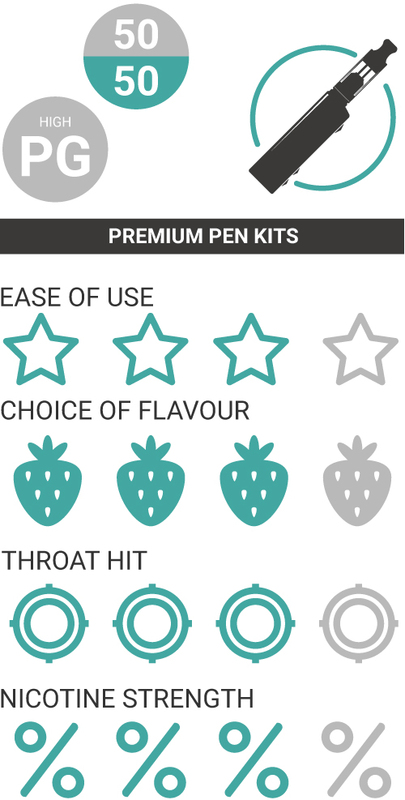 Experts have been championing the harm reduction of e-cigarettes ever since research into the subject began, and have confidently estimated that vaping is at least 95% less harmful than smoking cigarettes. Great for: Couldn’t be easier to use. Great for: A flexible all-rounder at a great price. Great for: Better build quality, adjust settings to suit. E-cigarettes work by heating a liquid solution comprised of vegetable glycerine and propylene glycol, commonly used in food and pharmaceutical products. 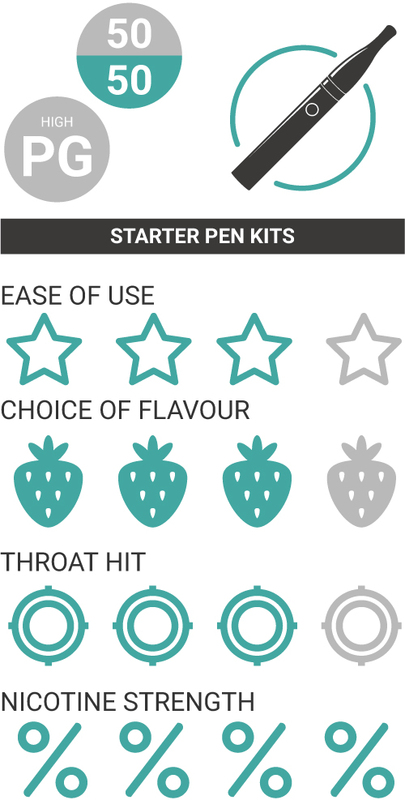 Food-grade flavouring is then added to the e-liquid to create different flavour profiles, with everything from fruit, dessert, tobacco and menthol options available. E-liquid does not contain tar or carbon monoxide: two of the most dangerous components found in tobacco smoke. It is important to make sure that you’re getting the correct amount of nicotine when switching from smoking to e-cigarettes as too much nicotine can lead to symptoms of illness and too little won’t satisfy your cravings, making you more likely to revert to tobacco cigarettes. 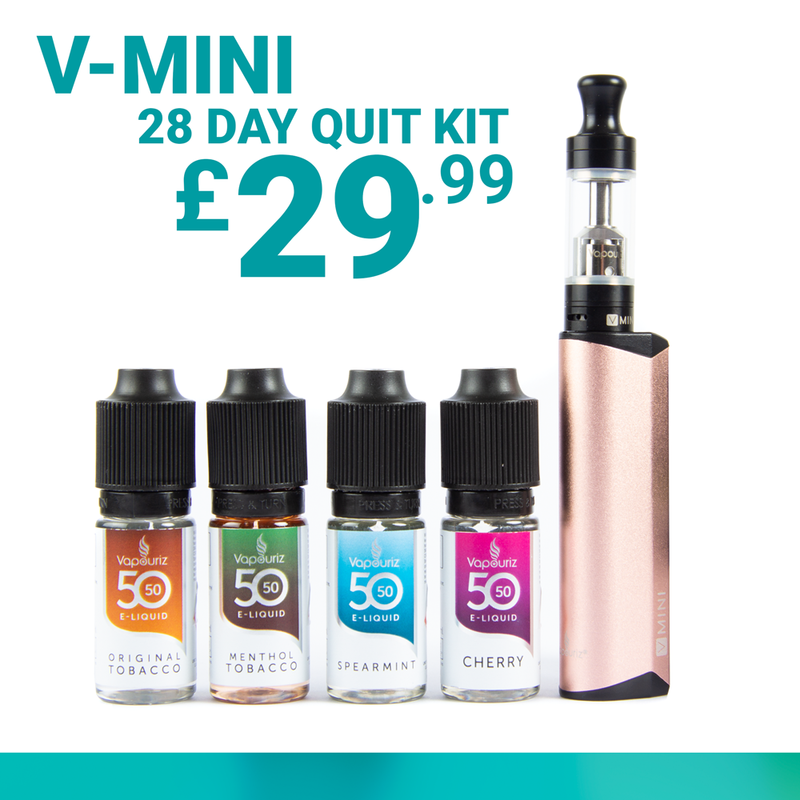 To find out how much nicotine you should be vaping based on your current habit, call our customer care line on 0800 644 0000 (Mon-Fri 9am-5.30pm) who will be more than happy to point you in the right direction. 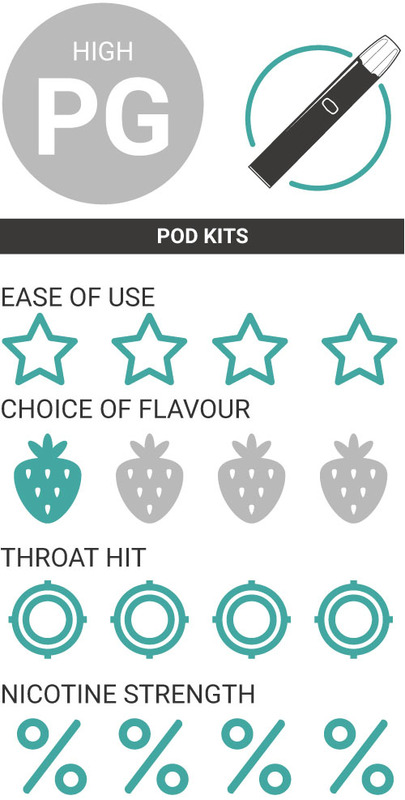 Our dedicated team can help you find the ideal kit and e-liquid for your needs, ensuring you have everything you need to kick the habit for good.